There was a sudden surge in vitality at the west end of Walton Street recently, and it looks like that energy is here to stay: It has been two weeks since opening day, and there seems to be no slowing for the crowds that are frequenting the newly-opened Urban Outfitters in Armory Square. At 3 full stories, the store has a commanding presence, anchoring that end of Armory’s “main street.” The storefront is well-designed, with large glass windows containing enticing displays, a clever sign that follows the profile of the 1st floor cornice, and impressive wood doors that invite you into the alluring glow beyond. The inside is even more enticing, regardless of whether or not you can see yourself in any of their clothing: there is something fun about traversing a retail store vertically as you shop, discovering a new landscape of eclectically-placed goods at each floor. And the interior’s most striking feature isn’t even the large skylight on the top floor, flooding the space and all its reclaimed wood with natural light, but rather it’s the constant volume of people [hipsters] that are oogling over all the trendy clothing and interesting housewares. Wait – I thought everyone said there are no young, hip people left in Syracuse? And it doesn’t stop within the confines of the UO store – go stand in Armory for awhile and count the scores of people that are holding UO bags, looking around with a somewhat bewildered look on their face as they apparently discover this shopping district for the first time. I’m glad the local retailers have been so welcoming to this chain store’s arrival [Bounce had staff giving out information pamphlets to first-timers, Pasta’s was set up at the front of Urban, giving out samples of bread and dipping sauce], realizing that this particular store isn’t going to be direct competition; rather, it is going to increase the foot traffic in the square as a whole. 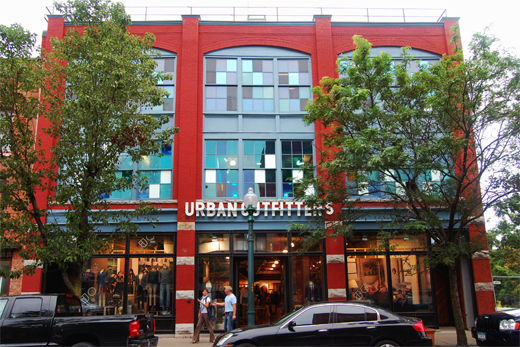 I’d be wary, typically, of a chain store in this setting, but Urban is the perfect fit for such a neighborhood – it’s a well-known, yet unique destination, drawing people from a large area. I hope that the retailers and restaurants have seen their sales boosted in these last few weeks. With the continually-increasing number of people discovering and visiting Armory Square, the area is ripe for more local establishments [and even key national chains] to fill in what gaps remain, and lead the charge into the greater downtown. 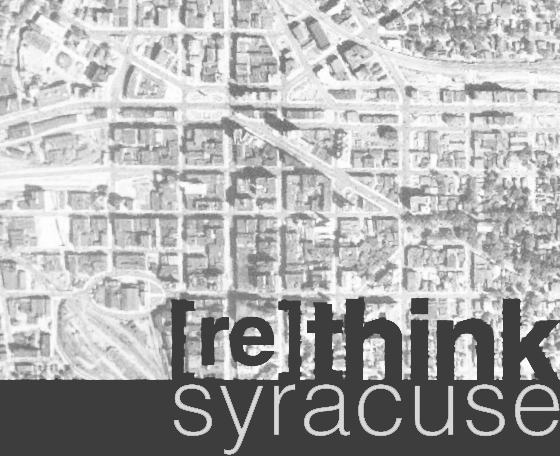 Syracuse is hungry for the option of living an urban life – whether for a few hours to wander and shop, or for a few decades of living in such a setting – and finally, if only currently as an appetizer, this hunger is beginning to be fed.